For hundreds of thousands of tradespeople across the UK, their van is their most important tool of their business. It’s responsible for carrying him or her, and the rest of their tools, to the jobsite, and this is a reason why an MOT failure can be a huge burden, rendering many businesses helpless. In this article, we uncover the ten most common reasons for MOT failure, to give you a fighting chance for your next visit to the testing centre. 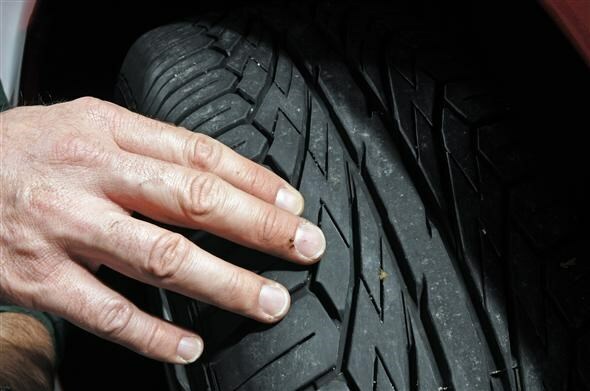 A recent report suggested that almost a third (32.8 percent) of all first time MOT failures are down to easily rectified faults like tyre wear, faulty bulbs and empty windscreen washer fluid bottles. A further quarter of failures are caused by brake (15.3 percent) and suspension wear (14.2 percent). Quite surprisingly, number plate lamps top the list as the number one MOT failure in vans. This can be down to the actual bulb, or a power supply cut off due to the wires wearing with the constant opening and shutting of the rear doors, or the slamming of the doors causing a slight misalignment in the fitting. Most vans have two number plate lamps, however it needs just one to blow for an MOT failure. If your van fails the parking brake performance test, it usually means your van has failed to hold its own weight on a 1 in 6.25 gradient and therefore falling short of the required 16 percent efficiency rating. This is usually solved by the replacing the brake pads, however, an unsuccessful brake performance test could also mean the brake cable is too tight (unable to sufficiently engage the handbrake) or too loose. By far the biggest cause of headlamp mis-aim is the way the van is loaded; if the rear axle is fully laden, it will raise the front end and therefore lift the beam of the front headlamps, but it can also be caused by condensation on the inside of the lamp, poorly fitted bulbs and slight misalignments of the lamp and internal deflector. Other surprise components in the Top 10 include corroded brake pipes. These transfer fluids to the brakes and are commonly made out of copper and steel, and as such are subject to rusting and corrosion when exposed to moist air (something we’re not short of in the UK) over time. It’s not as expensive as it sounds, and a complete replacement will cost no more than £200. Another expensive fault is ball joint wear, and there are three signs to look out for. The most obvious one is noise; a banging sound can be heard from the front wheels when going over as bump or round a corner. Another tell-tail sign is the steering becomes either very loose or stiff, and often results in a vibration of the steering wheel. This can cost up to £150 to fix.